I'm in the process of compiling a larger post on relevant stationery-themed books and reading material, but in the meantime thought I would add a few of the high points of my "research" to this week's Deals and Drops (along with a few other interesting new things). 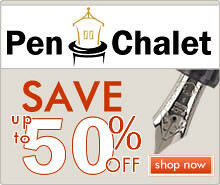 Conklin Brownstone (via Pen Chalet). 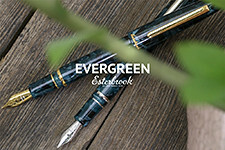 I really enjoyed checking out the Conklin All American Brownstone at this year's DC Pen Show, and hope to get my hands on one of these soon. Monteverde Giant Sequoia (via Pen Chalet). This new larger pen from Monteverde caught my eye, especially in the blue striped acrylic. Visconti Van Gogh (via Goldspot). Many thanks to Goldspot for sending one of these over to review. I'm very pleasantly surprised so far. 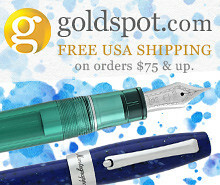 Goldspot Pelikan Promotion (via Goldspot). Buy a Pelikan from Goldspot, and get one or two bottles of Edelstein Ink, free! Link is to my post from earlier this week, containing full details. Montblanc Legend of Zodiacs Ink (via Anderson Pens). Anderson Pens has the new Montblanc special edition ink in stock, and it appears to be a lighter shade of red, almost coral. Montegrappa Liberty Lapis Fountain Pen (via Vanness Pens). A new 50-pen limited release from Montegrappa in celluloid and sterling silver is now available from Vanness Pens. PenBBS Inks (via Vanness Pens). 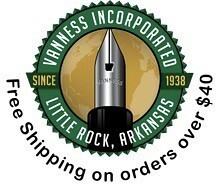 Vanness has yet another new ink brand in stock, this one from China. I'm looking forward to trying these out at the next pen show. 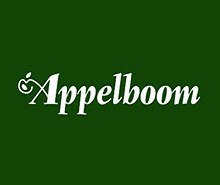 Lamy Studio Racing Green Fountain Pen (via Appelboom). 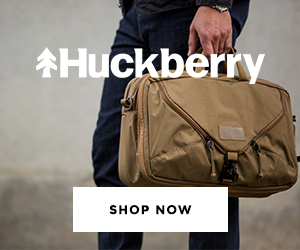 Finally, a color of the Lamy Studio that hits home, for me at least. Aurora Ipsilon Italia (via Pen Chalet). An interesting new Ipsilon, dubbed the "Italia Collection." Richardspens Guide to Fountain Pens (via Amazon). Since winding down his pen restoration and repair business (though he still does shoes), Richard Binder has written two fountain pen books. Part I is the Glossopedia, full of pen terms and descriptions, and Part II deals with restoration. Part II is available in both print or electronic format. Fountain Pens of the World (via Amazon). 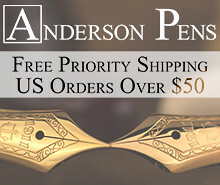 If you're going to buy just one book on fountain pens, make it this one! Andy Lambrou's book is not a cheap addition to your library, but it's extremely comprehensive. Both FPOTW and Fountain Pens of Japan (below) are large coffee-table-style books featuring hundreds of pictures. Fountain Pens of Japan (via Amazon). Andy Lambrou's more recent book addresses the fountain pens of Japan. I plan on picking this up at a future pen show. The Missing Ink: The Lost Art of Handwriting (via Amazon). Philip Henscher's book is a nice counterweight to the "Is Handwriting Dead?" crowd that's proliferated lately. The Perfection of the Paper Clip (via Amazon). James Ward's book about everyday desk tools is a must-read if you like this blog. 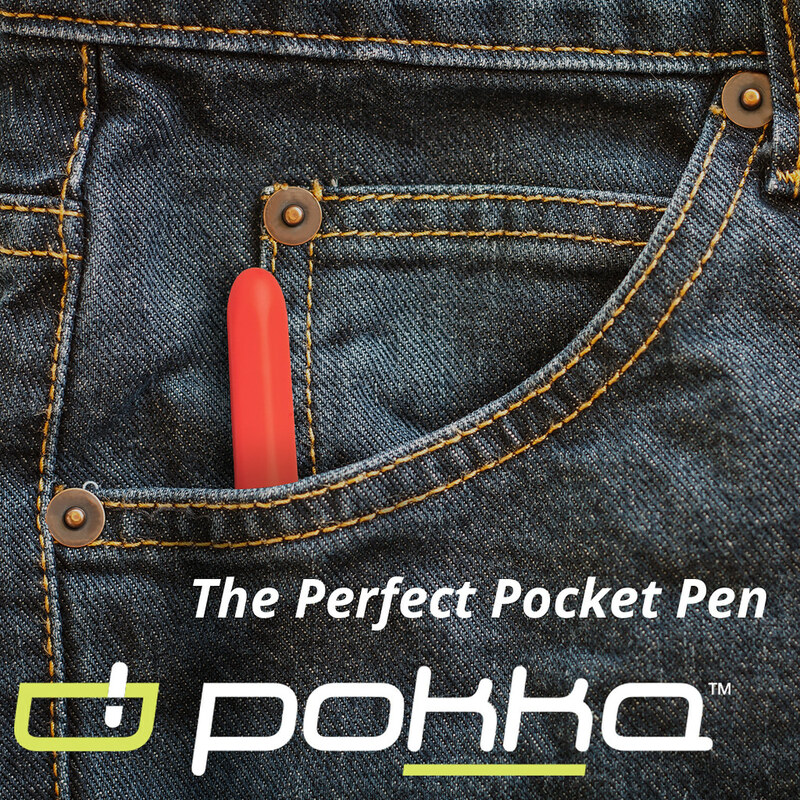 The Pencil Perfect (via CW Pencils). Caroline Weaver's new book has been out for a while and received rave reviews. I'm waiting to pick up a copy in person when I visit NYC this fall. Daily Rituals (via Amazon). I'm currently reading this book about the working habits of various writers, artists, and professionals. It's extremely interesting, though not directly pen/stationery related.